I want to say it’s here! it’s here! because I love sunshine, warmer weather, and the more relaxed pace that comes around this time of year. I always say, any day that it’s warm enough to not wear socks is a good day. With summer coming on I’ve been trying to work more seafood into meals. I typically fire up the barbie when I want to cook any kind of fish, because I hate the lingering smells that come from cooking fish in the kitchen. But a good way around this — especially when it’s a drizzly June day, and the last thing I want to do is hover over the barbecue in the rain — is to roast salmon in a hot oven. With roasting it’s a slightly gentler heat compared to the barbecue so the salmon tends to stay moister. Always a good thing. Which leads me to roasted salmon with ginger lime glaze. It’s fast. It takes practically no time at all to cook, maybe 7-8 minutes. It’s easy. 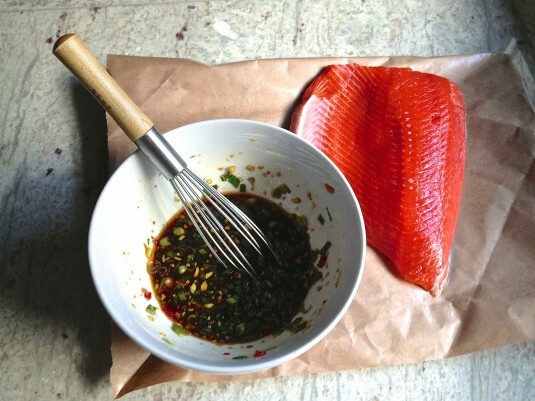 Combine the ingredients in a bowl, marinate the salmon for a few minutes, and you’re good to start roasting. It’s healthy. 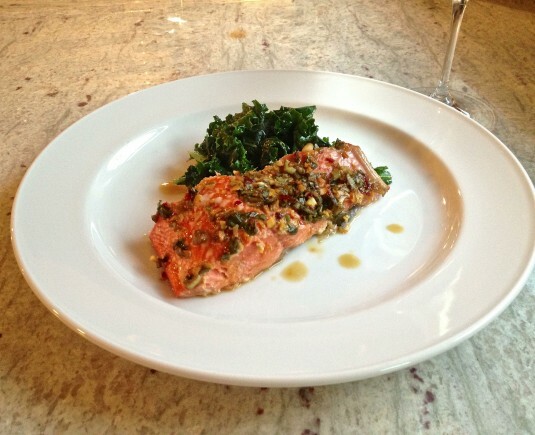 Salmon’s a superfood, right? Maybe what I like about it best is that the end result appears elegant, like you spent a lot of time in the kitchen to get these fantastic flavors. So it looks like you were being fussy, then! But in reality, you throw it together in 15 or 20 minutes. 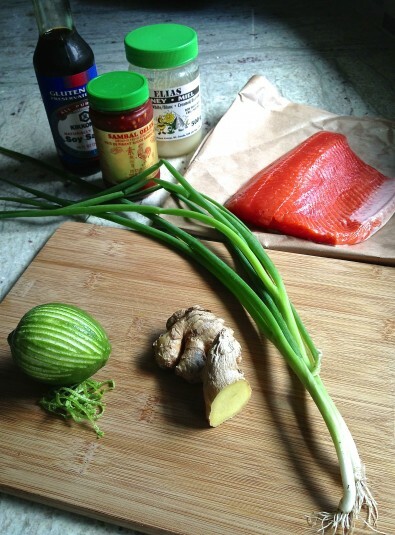 So in less time than it would take to fetch a take out order, I’ve made my own flavorful, Thai-inspired roasted salmon. Add some kale sautéed with garlic and lime and we’re talking a nutrient-dense dinner that’s ready in under 20 minutes. Now that’s what I call real fast food. Easy, healthy and ready in less than 20 minutes -- my kind of fast food! Inspired by Honey-Soy Broiled Salmon from Eating Well magazine. Combine all ingredients together in a small bowl. You'll have about 1/4 cup of glaze. Spoon all but a few spoonfuls of the glaze over the salmon and let sit for 5-10 minutes, unrefrigerated. Reserve a few spoonfuls of the glaze until plating time. Bake for 7-10 minutes, until the thickest part is cooked through. 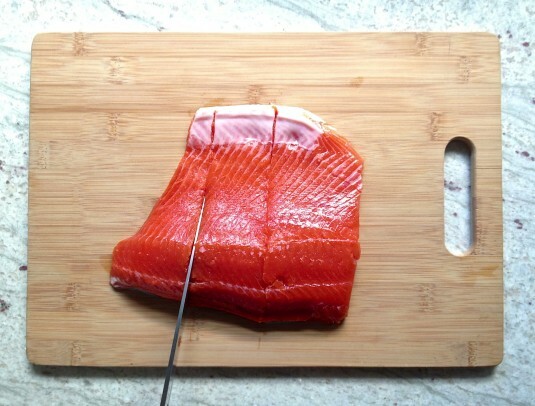 Using a flexible spatula, separate the salmon flesh from the skin, and plate it. Spoon a spoonful of glaze overtop the salmon before serving. Here's a good tip: To make it easy to portion salmon out when you serve it, slice through the flesh before you cook it but leave the skin in one piece. 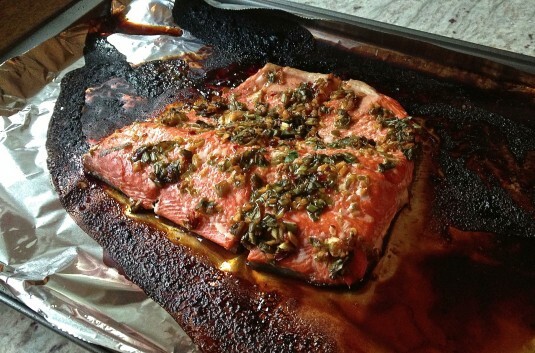 When the salmon is cooked, it's easy to slip a spatula under it and slide it right onto the plate. Thanks for the great recipe, Kris. I make salmon once a week (despite the howls of my kids who mostly dislike it.) I’ll try this recipe next – sounds delicious! Thanks also for your tip re: cutting the salmon BEFORE cooking. What a great idea! Definitely get your kids to try this, Daphne. 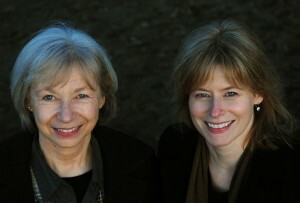 The honey gives it a fair amount of sweetness, so that might help them like salmon better. Fingers crossed! Thanks for this recipe Kris. 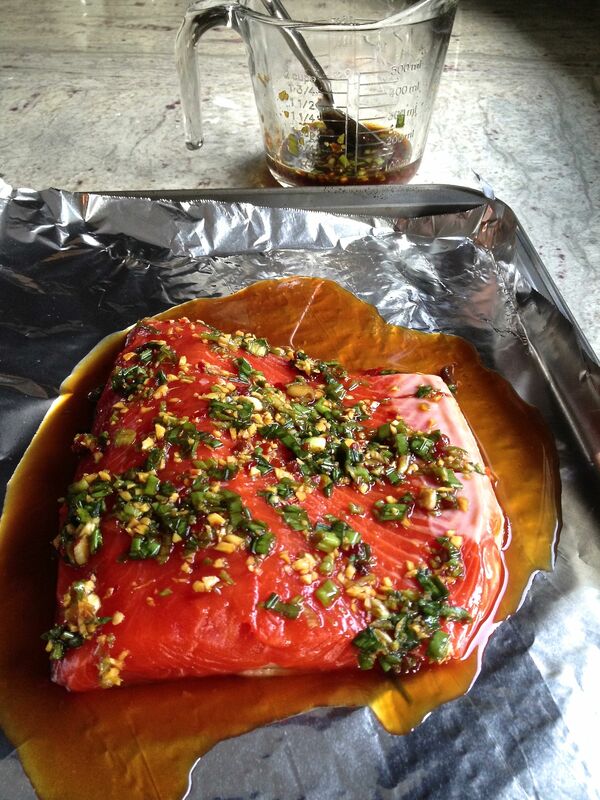 It is indeed quick and easy and makes really delicious moist salmon. I made it twice this weekend and received raved reviews both times. You’re very welcome, Gilian. Wow, rave reviews — that’s great! So happy it turned out well. 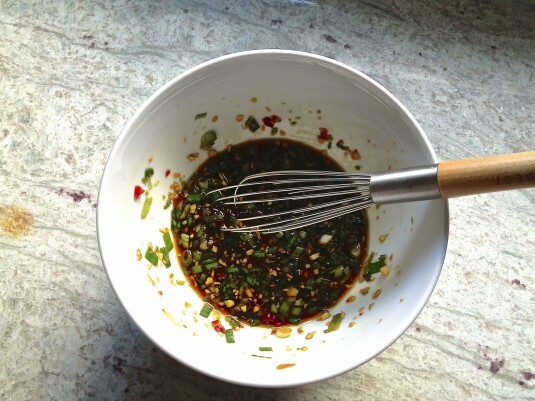 Also… the second time I made this, I eliminated the tablespoon of oil I had put in the original recipe. Didn’t miss the oil at all.